The Budget Scissor Lift is an affordable and efficient way to address all of your on-site lifting, lowering, and transportation needs. If you are looking for a high-quality budget mobile scissor lift, then look no further. 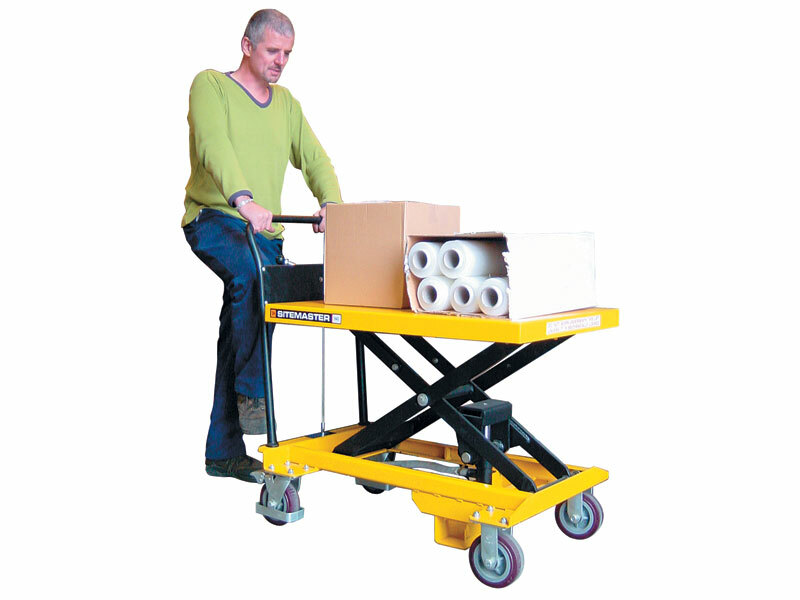 The premium quality table and twin braked polyurethane tired castors on the Budget Scissor Lift are just a few of the features that make it such a great option. The lift can support anywhere from 200 up to 800 kg, so you can use this budget mobile scissor lift for most of your day-to-day tasks that require you to lift, lower, or move heavy items. Save your back and work more productively with this product. 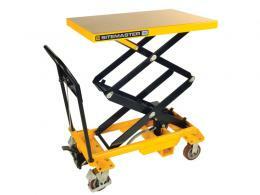 This budget mobile scissor lift is perfect for a warehouse, office, mechanic shop, construction site, and more. While it is designed predominantly for indoor application, it can help with the occasional outdoor task as well, such as unloading trucks or vans. The mobility of the Budget Scissor Lift means that one of these scissor lifts can quickly move your materials and tools from one area to another. Carry everything you need on you without actually having to carry a thing. 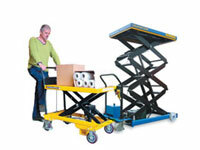 This product can be used by anyone that has to lift and transport heavy items. Whether you are moving tools at a construction site or lifting heavy boxes of goods in a warehouse, this scissor lift will make your work easier and quicker. Plus, its mobility, affordability, and sturdiness mean the Budget Scissor Lift is the perfect solution for practically anybody. This budget mobile scissor lift includes handle-positioned precise lowering and a maintenance lockout bar. We will have it at your door within five working days and promise to match any price. The Budget Scissor Lift also comes with a one-year warranty covering parts and labour. 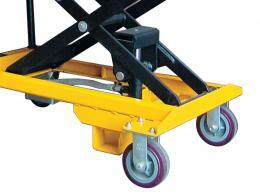 The various sizes available can accommodate anywhere from 200kg up to 800kg.